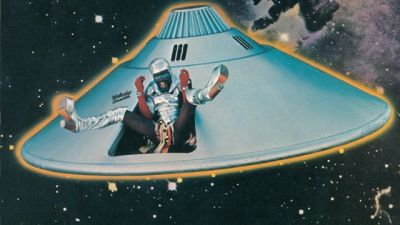 Tonight will be a watershed moment for lovers of the funk, as the Mothership descends once again on the Bluff City. I well recall when George Clinton and Parliament Funkadelic played the old Ellis Auditorium in 1991: the floorboards were literally bowing and bouncing to the beat. And that was just from the audience jumping to the band, who by now need no introduction, as pillars of American music history. The other day I had a chat with Danny Bedrosian, piano prodigy, synthesizer wizard, and fifteen year veteran of the band, about various new projects from the P-Funk collective and what funksters can expect from tonight's show. Memphis Flyer: So your first big work with the P Funk group and George Clinton was 2014's First Ya Gotta Shake the Gate? Danny Bedrosian: That's the third P Funk album I was on. But I was much more involved with it than I was in the prior efforts. I came into the group as a studio musician first, which is kind of ironic. After being a studio musician with George for a few years, on and off while I was finishing college, I moved down to Florida where I live now, and where his studio is, and started working even more for George. And upon them liking what I did further and trusting me, they hired me into the group to go out on the road in 2003. Prior to that I was doing mostly just sessions. And being a session musician, you never really know how much of your stuff's gonna end up on release. You also don't know where things are gonna end up going. And I ended up doing a lot of work for a bunch of different associated acts all through those years as well, even while I was in the band. I played on George's 2005 album, How Late Do U Have 2BB4UR Absent?, and I played on one song on his 2008 album, Gangsters of Love. And then I was very instrumental in the new Funkadelic album, Shake the Gate. I played on about 17 songs on that album. He also has a new Parliament album coming out called Medicaid Fraud Dog, which he's really excited about. That's coming out this year, the first Parliament album since 1980. We're gonna have lots of horns, lots of that classic Parliament sound, and I'm also very conspicuous on that offering as well. I definitely contributed to more songs than there probably will be on the album, so...it's another one that I'm really proud of, that's gonna be coming soon from the P Funk camp. You also contribute quite a bit to the new album Detroit Rising, which features many P Funk players on it. Was that all recorded in Detroit? No, the conceptual framework behind the project is the idea of the Detroit sound, being both the Motown sound and also United Sound, which was the studio where P Funk did a lot of its recordings back in the day. It's the idea of the rising of that sound back into the forefront of American music and not just in these locales where it comes from. Although the title is a bit of a misnomer, because probably a greater portion of it was recorded in NYC. And probably an equal portion to the Detroit stuff was recorded in Florida as well. So it's really a multinational offering, if you will. It was equal parts New York, Detroit, L.A. and Florida. So sorta all corners of the country. But the Detroit sound is really an important part of the P Funk sound, you know Motown and R&B and funk and all that stuff. The idea of the concept was bringing back that sort of sound to the forefront and then adding something new to it as well. Because it's definitely got a heavy East coast influence as well, with the jazz fusion thing. So it's a pretty cool project. A few tracks were done at United Sound, which is the longest running studio in the country. And it's where P Funk did all of their big big albums back in the 70s, and also where a lot of the great R&B artists did their music. And so, the project started there and it evolved from there. I'm really proud of the music, I think it's really dynamic and exciting musically. 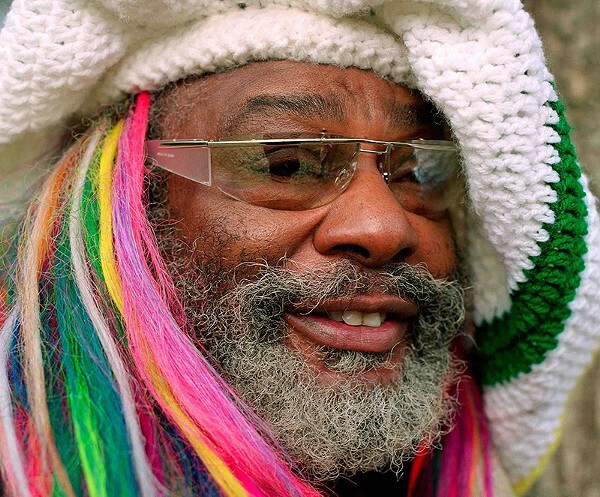 What's it like creating and recording tracks for a George Clinton album? Working for George, he will have a complete concept in mind before coming in. So if it's something we're doing with George for a particular album or effort, he's gonna be very specific about the concept and what it is that we're doing and why we're doing it. He's still very much the producer in that way. For instance, we just did a session in Atlanta last night with the rhythm section, and we recorded a song that we'd been doing live that already exists in a track form; but he liked the way we did it live with the track so much that he's having us recreate sort of a live version for the studio of this track. And so this was his vision for this, capturing that energy from a live version of a song that we never really put out live. We just played it live. We never put it out on an album. So he's looking to create the live version of that as the studio version, if you will. And that was his vision last night. It is collaborative, but he's very focused, and it takes a long time. He cares about his product and how it's crafted and how it's made. He's very on hand in the studio, always on point, very, very focused in the studio. You just get in there and take directions and see what happens. And then, he is also very collaborative in a way, where if we're at his home studio in Tallahassee at the P Funk studio, we might be coming up with something sort of leisurely, and it'll become something. That happens too in a very organic way. Or it could be something where one of us wrote a song and it doesn't necessarily have a place yet, and he may fall in love with it and do some post production, add a bunch of stuff, take away some stuff, mix some stuff, do some things with it, and create something new with that. That happens very often too. And then oftentimes he'll put groups of us together to create something. So he'll have a vision for a few of us from the group or from the organization to work together or create together in some way in a way that maybe we never would have thought of before because maybe it wouldn't be someone you even knew before you came into this organization. He's really connected a lot of people in that way. So the spirit of his production is just so more alive than maybe it has been in the past 20 or so years, 'cos he's just so focused now. And it's really great to see. It reminds me of Duke Ellington, who would craft compositions around the sounds and personalities of particular players in his group. Yes, he's very conscious about who it is that starts a particular song, and how it has that color because that person started it. And he's equally conscious of how a track needs the color of this person, so we'll get so and so to overdub on it. He's very conscious about who starts it, who dubs in, how he wants it to be structured, how he wants the flavor of it to be. Will Memphis get a taste of the new Parliament album? Yes, we have released one single from the upcoming album already. It's called “I'm Gonna Make You Sick.” And it is really really just a banger. It's really a great funk song, the classic Parliament sound. It also features the rapper Scarface. and I played on it a little bit as well. We've been doing it live about four months. And it's one of those songs that really gets the crowd going, which is great because it's a new song. So, such a great continuum to see how it continues to thrive. So yeah, you will get a little bit of new Parliament album. And of course some of the new Funkadelic. Yep we're gonna do probably five songs from that as well. And dip into the hits? Oh yeah. There's always a strong inclination from the fans to do this song or that song. And the P Funk canon being so vast, you can never expect to get all the hits. It's something like forty charted hits, six number ones, three platinum albums and additional maybe eight gold albums. Just so much of the stuff from that period that you can't expect to hear all of them, but there are definitely ones that we can't do a show without doing. And also, which makes me happy, is we tend to dig through the crates and go through a lot of lesser known album cuts as well from back in the day. Which I really like 'cos I was such an album guy growing up when I was a fan of this band. I always liked a lot of the album cuts the best, even more so than some of the singles. So it's really exciting to be able to do those as well. Oh yeah! We probably won't see the spaceship in this show. It is something that's been talked about lately, about bringing the Mothership back, and you never know, it could happen. Right now the original Mothership is currently in the Smithsonian in Washington, which we're really proud of. How many of the current players go back to the early days of Parliament or Funkadelic? We have Blackbyrd McKnight on guitar, he joined the group in about '78. He's with us. He's also an original member of the Headhunters [backing Herbie Hancock], and played with Miles Davis. He's a 30-plus year veteran of P Funk. Mister Lige Curry on bass, who's the longest tenured bass player in the band's history. He's been playing for this group for 30 some odd years as well, joined in '79. The horn section, Benny Cowan and Greg Thomas on trumpet and saxophone respectively. They both have been in the group some 40 years now, they came in the '70s. Gary “Mudbone” Cooper, who has been with the group since '73 and was also an original member of Bootsy's Rubber Band, also is with the group. Tracey Lewis, who is George's son, did a lot of work with them starting in the early to late '80s. Steve Boyd, who started in the late '80s, is also with us as well. So there's quite a few people from that era. And it's such a great thing to see how George has people from every decade of this group. I came in the 2000's, and it's interesting that I'm the only one left from that era. So it's a kind of a microcosm where you see the different generations and how they impact the thing. I think we have maybe 3 people here from the '90s. And then we have a slew of new people who've come in the 2010's. Some of George's grandchildren, they're the new generation that's coming up. So it's really great to see it self-perpetuating. It's quite an American institution. Anything else we should know about P Funk projects? I would like to say I have a new album that just came out as well, my solo album with my little trio called Secret Army. And the album is called 8finity. It's our eighth album, and it's myself and the bass player and the drummer from P Funk. So it's basically the backbone of P Funk, we just put out this new album as well. George is on it too, and bunch of other members of the band. It's a really nice effort.